That’s right, it’s a Mold, Mildew and Stain Resistant Grout Color and Sealer in One! In the many years that Shari and I have been doing home improvement projects, we have been asked countless times, what can I do about my dull, dirty, stained or discolored grout on my floor tiles. We have tried countless products from cleaners to “grout paint” that never seem to have the desired effect of a clean or new grout. Short of starting over and removing the grout, there just wasn’t any solution that we could find. Until this winter, while I was walking the aisle of a home show and I walked past a vendor that was demonstrating a product that was changing the look of dull, dirty (and wine stained) grout in a matter of minutes. I was hooked, so I introduced myself to the gentleman doing the demonstration. His name is Rick Menozzi, and he told me about being a general contractor/builder for over 30 years (and wine maker to boot) that was tired of repairing folk’s dirty grout. He introduced me to a product called Coat of Armor Grout Solution, and after trying it myself at his booth at the home show, I knew I found a winner, and I had to share the product with all of you. In Rick’s word you can make a dramatic change in the look of your room by refreshing or changing the color of your grout for just pennies on the dollar! 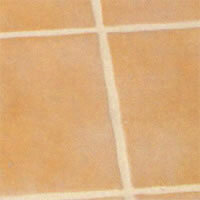 Color, restore and seal the grout lines on your floors, walls, showers, counter tops, back splashes, fireplaces, etc. Restore the original “like new” finished look of your home while increasing the value of your home. Best of all, no more grout stains means no more grout scrubbing! All Coat of Armor products are MOLD, MILDEW and STAIN RESISTANT, SAFE, EASY TO USE and RELIABLE! Plus, they have no harmful chemicals and are all Water-Based and Bio-Degradable. COAT OF ARMOR COLOR SEAL is a finish top coat that is applied directly to cleaned new or existing sanded and un-sanded porous grout. 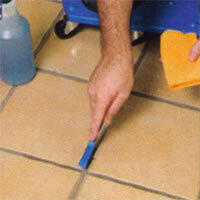 The Color Sealer has a chemical reaction with the grout that hardens in the pores. It dries to a “natural” look and feel and contains constant acting mildewcides that provide a sanitary surface. 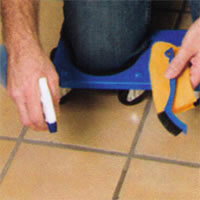 It colors and seals in 1 application and easily wipes off tile surfaces when applying the product. Regular maintenance with a PH neutral cleaner is all that is needed to preserve your grout for years and years to follow. No more scrubbing grout lines! 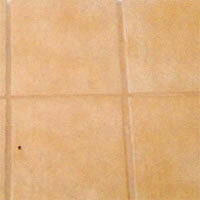 Application: For refreshing and changing color of tile grout. 1. 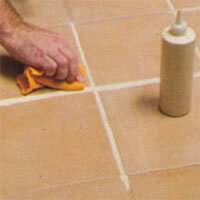 Spray cleaner onto grout and tile and allow to soak for 2 to 3 minutes. 2. Work the cleaner back and forth until dirt is released. 3. Immediately wipe away dirt and excess cleaner with a damp towel or chamois. 4. Make sure that the entire floor is clean. 5. You are ready to start color sealing the grout. 6. Apply a thin bead of Grout Color Seal in the middle of the grout joint, one direction at a time, working it back and forth to spread the sealer so that the entire grout joint is covered. 7. Within a few minutes, use a damp chamois to remove the excess sealer. Fold the chamois and use a soft hand over the grout. Wipe down both sides of the grout joint. Be sure to leave an even layer of color sealer in the joint. 8. Repeat until the entire floor is complete. To complete the line of products from Coat of Armor Grout Solutions, there is a clear seal and an enhancer sealer. COAT OF ARMOR CLEAR SEAL is designed to form a barrier that is resistant to moisture, slipping and stains while allowing complete vapor transmission. 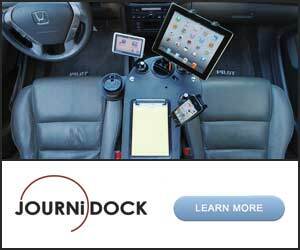 It can be used on any hard surfaces. Outdoors on stucco homes, outside buildings, sidewalks, blocks, bricks, cement and/or concrete. Indoors it could be used anywhere where there is Tile, Grout, Granite, Marble, Brick, Stone or any hard surface. It works great on marble and granite counter tops, providing a finished sanitary surface. Only 1 application recommended every 10 years. COAT OF ARMOR ENHANCER SEALER is used on all hard surfaces such as Slate, Ceramic, Terra Cotta, Terrazzo, Marble, Granite, Quarry and Concrete. Once applied, the gloss coat gives off a rich natural look, enhancing the colors within the product leaving them looking vibrant and new. Only 1 application recommended every 10 years. This is one of those products that I will use myself and if you have any questions drop Rick a note, you can even visit his face book page at Coat of Armor Solutions. Hi, I have just watched your video about cleaning grout. Can you please tell me whether the ‘coat of arm’ product can be bought in England. Jayne, I don’t know if that is available in England, but I’m going to find out for you.